NEW in 2017 This Rhino 15' AquaBeast Wet or Dry Inflatable Slide Adventure can be used as a wet slide or a dry slide. Your will love our commercial grade heavy duty bounce slide for your back yard party, school activity day, church festival or any other fun Summer event.. This inflatable water slide is 15 ft high and will be a popular water attraction. Time to make a big splash! While you have fun going up and flying down this big water slide. The Rhino 15' AquaBeast Wet or Dry Inflatable Slide Adventure can be used by 2 year olds through 12 Year olds. 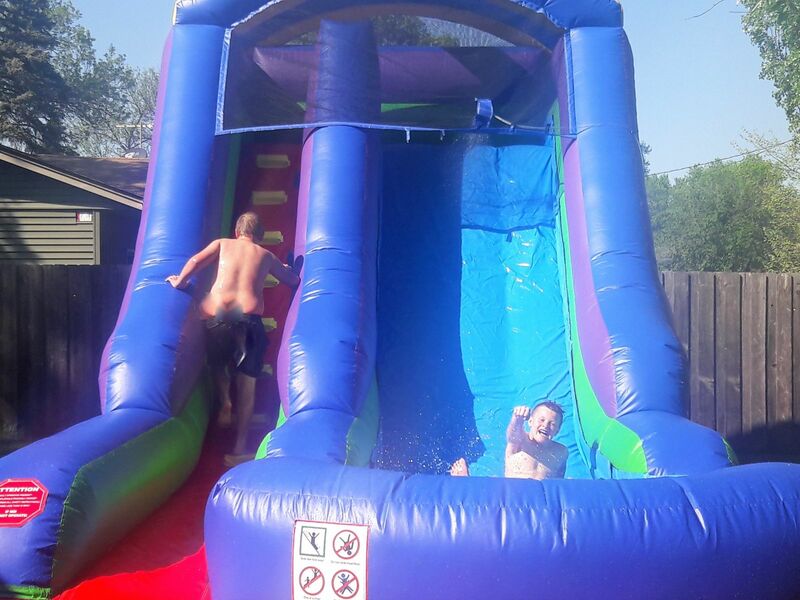 Our high quality inflatables are Bouncy water slides are a great addition to your party. These slides sell out quickly. 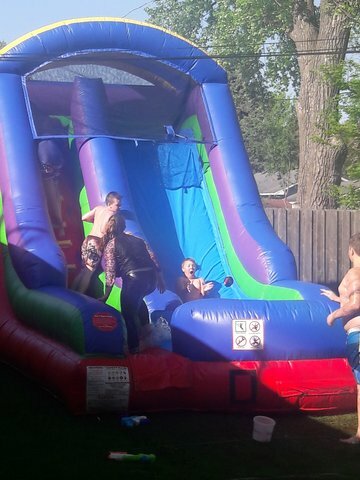 Rent your inflatable water slide today before they are all gone. The Rhino 15' AquaBeast Wet or Dry Inflatable Slide Adventure s the perfect height and will perform very well as a dry slide. Convert to a wet slide or water slide by simply connecting any garden hose to the soaker hose that is already supplied. This is a great inflatable water slide for any family, church, school, day care or company looking to entertain kids, teens, or adults with a cool inflatable water attraction.